Most people think of Africa when they think of safaris, but did you know that Sri Lanka has some of the best biodiversity for wildlife spotting in the world? It’s affordable, too. 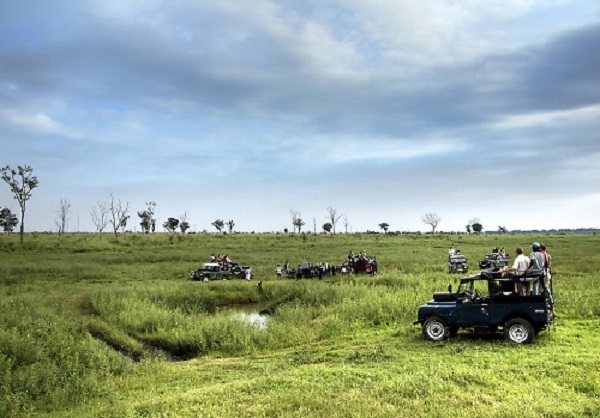 With abundant and increasingly accessible parklands across its expanse, going on a safari is one of the most popular things to do in Sri Lanka. Many Sri Lanka tours include a safari as part of the itinerary. And with so much choice, the only hard part will be deciding where to start. To help with that, ahead we list the top national parks for a safari in Sri Lanka. What will I see on safari in Sri Lanka? 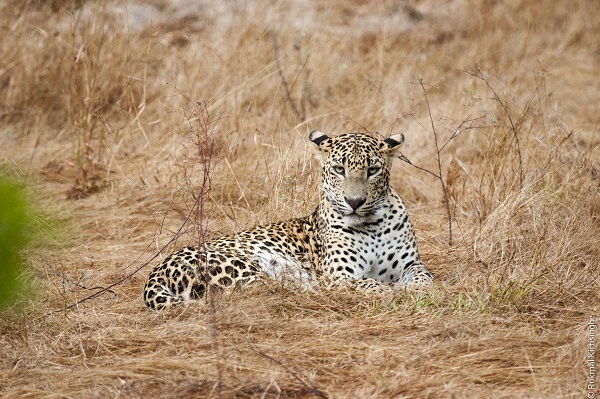 The elusive leopard is high on the list of sought-after animals in Sri Lanka – unsurprisingly, as these big cats have a beautiful coat and svelte physique that make them one of the most regal creatures in the jungle. Also unique to the area are Asian elephants, sloth bears and sambar deer, and don’t forget to look up, as there’s an array of colourful birdlife. Near the sea, seek out the largest mammal on the planet, the magnificent blue whale. When to book your trip will vary depending on what you want to see and the parks you’d like to visit – refer to our guides for when to go in each snapshot below. A good rule of thumb once you’re there, however, is to set out on your safari adventures as early as possible each day to beat the heat and the crowds, leaving you with the afternoons to cool off in your hotel’s pool and kick back with a book. 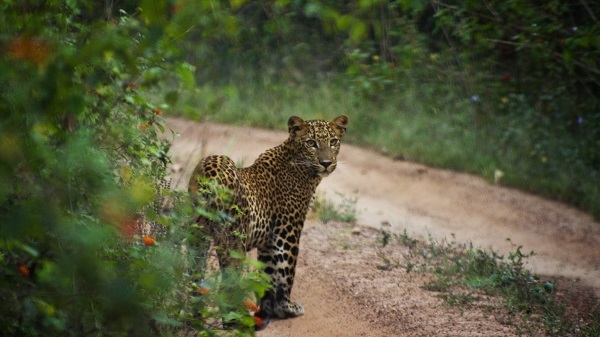 The Mecca of Sri Lanka’s national parks, Yala claims to have the largest population of leopards in the world. It doesn’t hurt that it’s close to the country’s dazzling coastline either, offering the combined appeal of wildlife spotting and beach hopping. Due to its coveted location and popularity, you’ll find some five-star accommodation here too. Known for: leopards, luxury, and lots of visitors, all alongside the Indian Ocean. Best time to visit: February to June. It is closed for maintenance in September and October. If lazing around a sparkling lake undisturbed bar the sound of birdsong appeals, then you’ll love Gal Oya. This national park in the heart of Sri Lanka is still reasonably untouched by tourism, and as far as safari experiences go, it’s incredibly peaceful. You might see elephants splashing around the water’s edge, crocs slithering onto the bank, herds of deer, and even leopards. As well as animal spotting, you can row out to one of the reservoir’s various islands for a picnic, head out on a nature trail, or just sit back and enjoy the quiet. Known for: serenity in central Sri Lanka surrounding a large reservoir, offering wildlife without the crowds. Best time to visit: April or September. 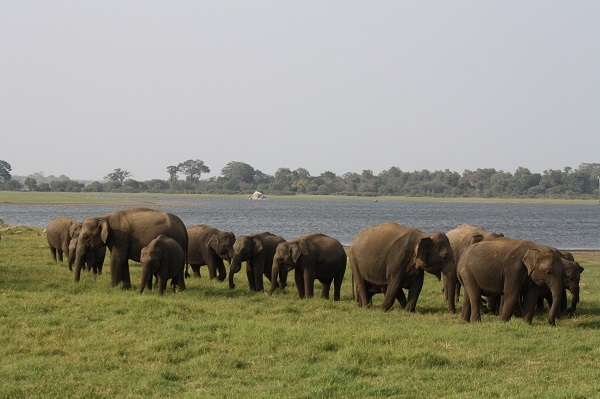 Udawalawe is elephant country, with large herds lumbering through the grasslands, jungles and forests of this national park north of Colombo. These gentle giants are the main event, and there are so many that you’re almost guaranteed to see them without much of a wait. This park is a great low-key option that’s not too far from Colombo, and that provides gorgeous scenery in its lush, undulating landscape. Known for: Asian elephants and spectacular tea plantations. Best time to go: year round. Apart of the Yala region, and formerly known as Yala East, the joy of Kumana is that because it’s farther to get to than the immensely popular western Yala National Park, it’s also less populated with visitors. If you’re looking for something as spectacular minus the crowds, consider Kumana. The big wildlife drawcard here is a bird sanctuary that’s home to hundreds of rare species, plus reservoir-dwelling reptiles such as crocs, and small herds of larger animals like elephants. There are some sloth bears and leopards, but they tend to lie low, so if those are a must-see for you, perhaps look elsewhere. If you want a piece of safari paradise practically to yourself, however, Kumana delivers. Known for: being the less-trodden neighbour of Yala National Park, with all the same appeal. Best time to visit: February to July. Jump from the ruins of Polonnaruwa to the pachyderms of Minneriya National Park, one of three parks that make up Sri Lanka’s ‘Elephant Corridor’. The main drawcard is undoubtedly the elephant gathering, a spectacle that sees wild elephants converge around the fertile grassland surrounding the Minneriya Tank. The elephants are drawn to the area as water supplies begin to dwindle in the dry season. Herds as large as 300 to 400 elephants have been recorded. Other notable species in Minneriya National Park include spotted deer, purple-faced langur monkeys and sloth bears. Known for: the elephant gathering, the largest phenomena of its kind in Asia. Best time to visit: July to September (dry season) to catch the gathering. Time visits for early morning or late afternoon. This one is less about the wildlife and more about the absolutely stunning wilderness that welcomes visitors wanting to trek to the famous ‘World’s End’. That said, you might spy one of the darling local sambar deer, and birders will be more than satisfied by the diversity up in the sky. Known for: beautiful scenery and hikes, and opportunities for bird watching and deer spotting. The lakes and dense forests of Wilpattu are home to a huge diversity of wildlife for those dedicated to seeking it out. It’s one of Sri Lanka’s quieter parks and in easy reach of Colombo, but its animals are a little more reserved, and with more places to hide, so it will suit patient safari-goers (and reward them with a less touristy escape). The park is most famous for its white-snouted sloth bears, and it has a history with leopards, but crocodiles, water buffalo, elephants and deer are also on the agenda. Known for: rich wildlife and in particular sloth bears, plus cultural attractions and snorkelling in its surrounds. Keen to experience a Sri Lankan safari? Head out into one or two parks with the safari inclusions in several Webjet Tours Sri Lanka holidays. BYO binoculars.